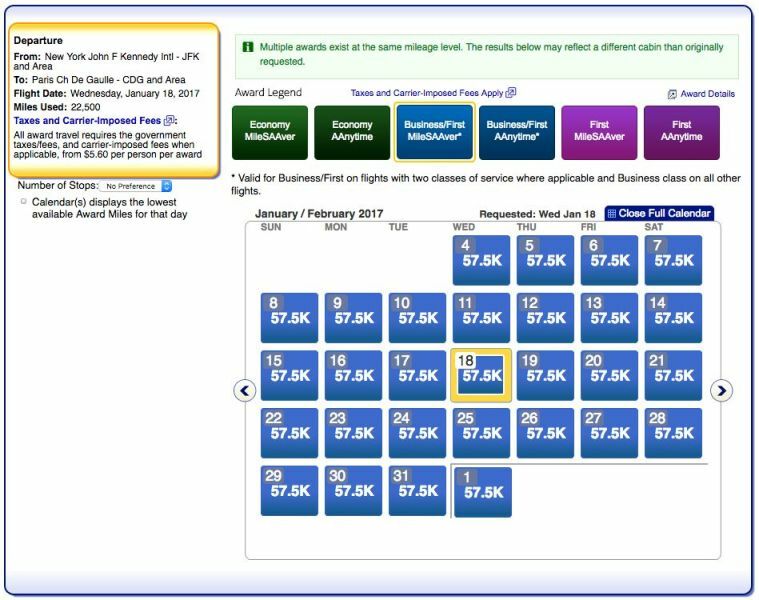 American Airlines is known for being exceptionally stingy when it comes to releasing award seats for business and first-class seats on its own aircraft, so we tend to get very excited when a large number of “free” seats become available — such as today! AA is currently offering award (and upgrade) space to many European destinations, including the most premium routes operated by the airline’s new 777-300ER, such as New York and Los Angeles to London. 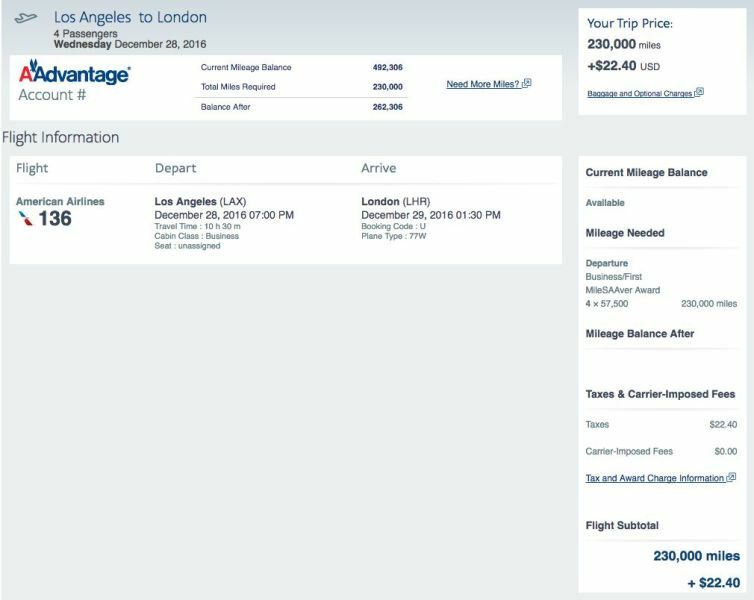 While AA partner British Airways tends to offer decent availability year-round, the airline tacks on outrageous fuel surcharges, making award bookings very costly if the transatlantic segment is operated by BA. Note that AA awards are still subject to the UK’s Air Passenger Duty, so expect to pay a few hundred dollars in fees on flights departing some UK airports, including London. The crème de la crème of AA awards to Europe is business class on the airline’s 777-300ER between Los Angeles and London. You’ll spend nearly 10 hours in AA’s latest 1-2-1 business-class seat on this nonstop route. There’s plenty of availability throughout 2017 — you can find four or more business-class seats on many dates. 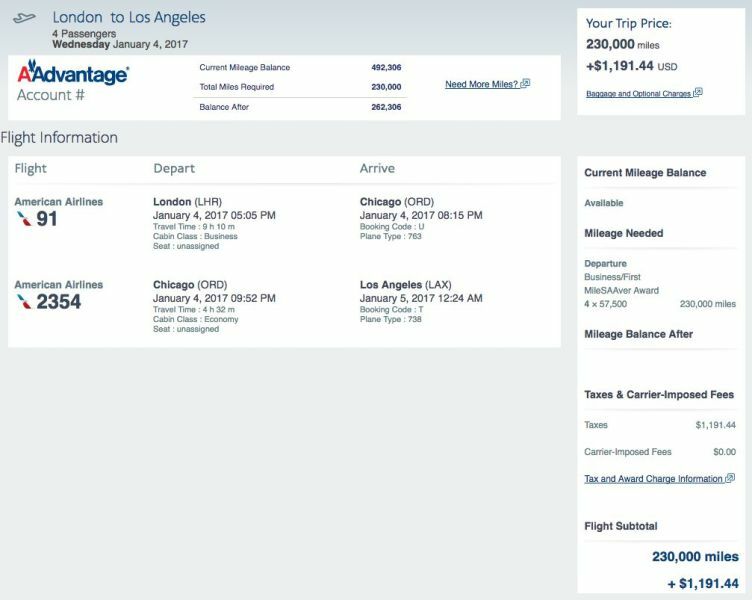 There isn’t quite as much availability on the return, unfortunately, however you will have many options on this route if you don’t mind connecting in Chicago on the way back to LA. This route is also operated by the 777-300ER on select flights, so be sure to check your aircraft type before pulling the trigger. You can fly AA’s 777-300ER between Miami and London as well. If you’re headed elsewhere in Europe, consider booking a connecting British Airways flight from LHR. It’s not just AA’s most premium routes with availability — you should be able to find open seats on almost any Europe route, including New York to Barcelona. New York to Paris also has plenty of open award seats throughout early 2017. Note that AA is currently in the process of reconfiguring its 777-200s, which operate some of these flights (including JFK to Paris on select dates). 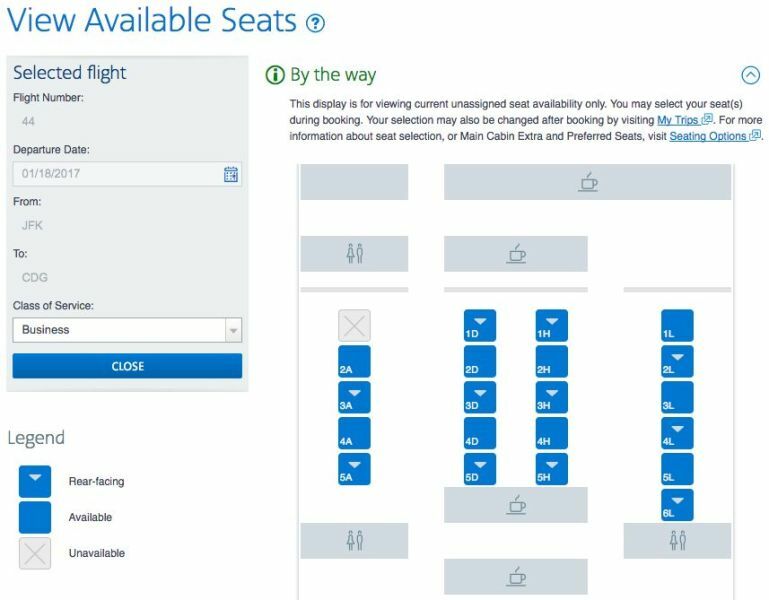 Check the seatmap to see which configuration you should have on the flight — 1-2-1 indicates the new seat. 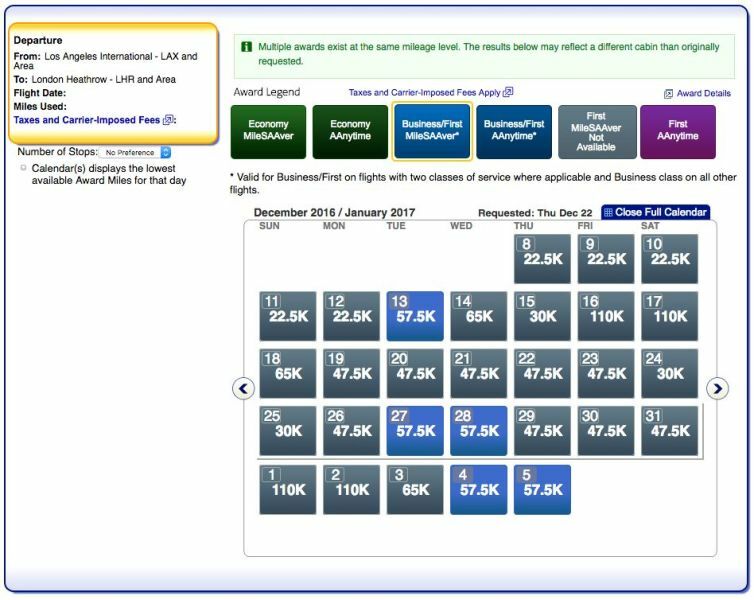 However, it’s important to note that American has been known to swap aircraft at the last minute, so you could end up with the old angle-flat 777 seats even if you see the map above when booking. 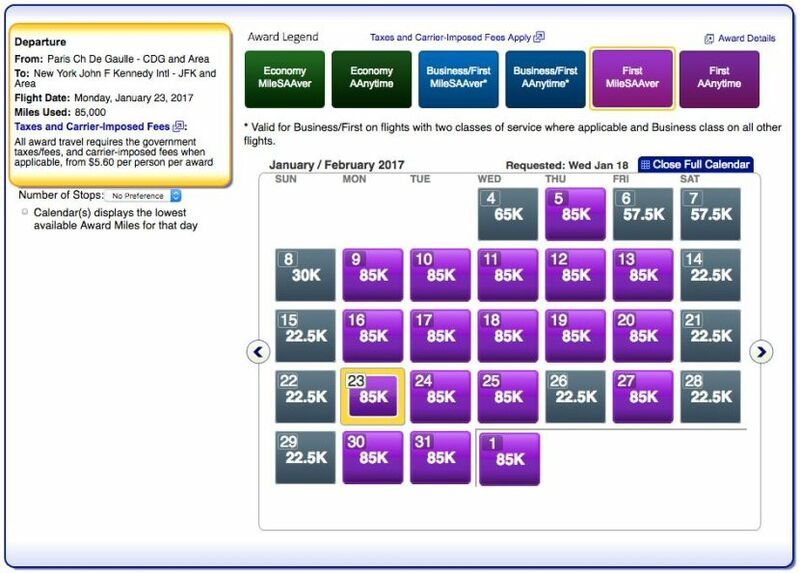 First class is also wide open on some routes, but you’ll pay an arm and a leg to book it — 85,000 miles each way. Also, note that AA’s new 777-200 configuration doesn’t offer first class, so if you see it offered on a route like New York to Paris, it’s likely that your flight is currently scheduled to be operated by the old 777 configuration — like the one the Pope flew around in last year. Will you be booking an AA award?